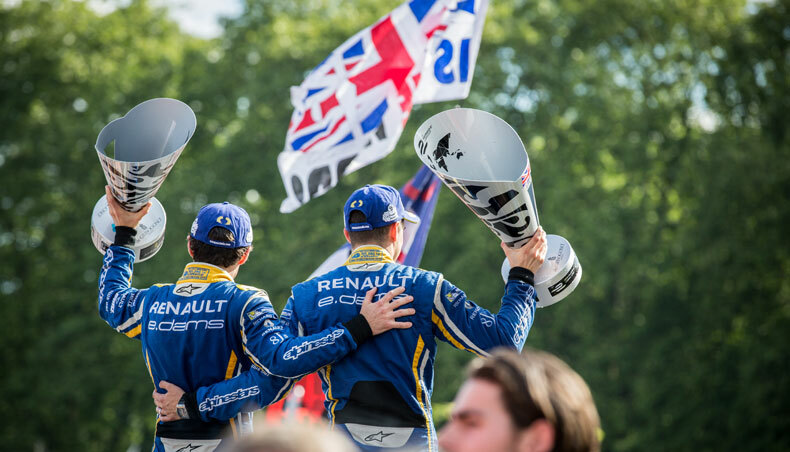 Avalanche of titles this weekend for Renault e.dams in the FIA Formula electric Championship! Renault e.dams FIA Formula Electric Champion for the second year running. Sebastien Buemi FIA Formula Electric Champion driver. 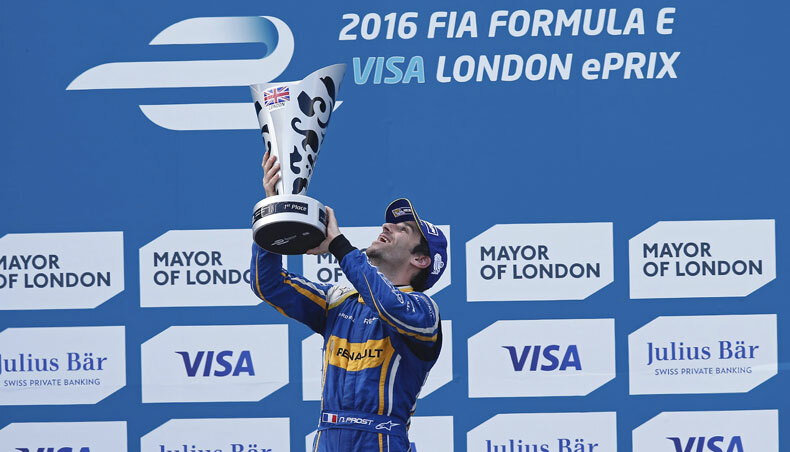 Nico Prost winner of the London eprix. Drivers and managers talk to us about the thrilling weekend event. I struggle to believe it today. It’s amazing to be the champion after a very tough season. It was not how I wanted to win the title today if I’m honest. We had the crash at the start and our only choice was to win on the fastest lap. We had to give everything; tactics, placement… But I’m extremely happy for everyone. Everyone has worked so hard to get here and they deserve the title. The cleanest and fastest driver won and the best team too. It’s been a dream weekend. The pace in the last few races has been very strong so we knew that we would be the team to beat this weekend, but you never take anything for granted. We’ve had a fantastic weekend, with two wins, so you can’t get much better than this. Yesterday was important as I have had a very difficult season, but bounced back gradually and found the winning form right at the end. I’m so pleased to have secured third in the championship, delighted for Seb and of course very proud of this phenomenal team. I am extremely proud of the team today. 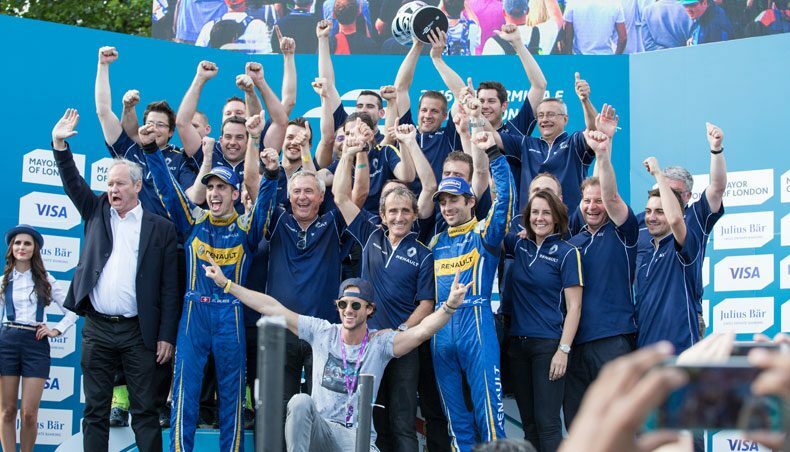 Formula E is one of the most competitive environments I have ever experienced, and to win two titles today is an extraordinary achievement. We were fighting against top teams and drivers and never took it as a given that we could win. We have worked hard all year to put together the best car possible and Renault did a fantastic job with the powertrain. Two titles in two years is a fantastic tribute to everyone who has given their time and effort to the team. It is difficult to express emotions as you experience in these moments. You hope and you dream of these things, but when they actually happen you find it hard to get the right words. I am proud of each and every team member for contributing to these victories. We have built a professional and capable team that has risen to the challenge in the toughest of environments. 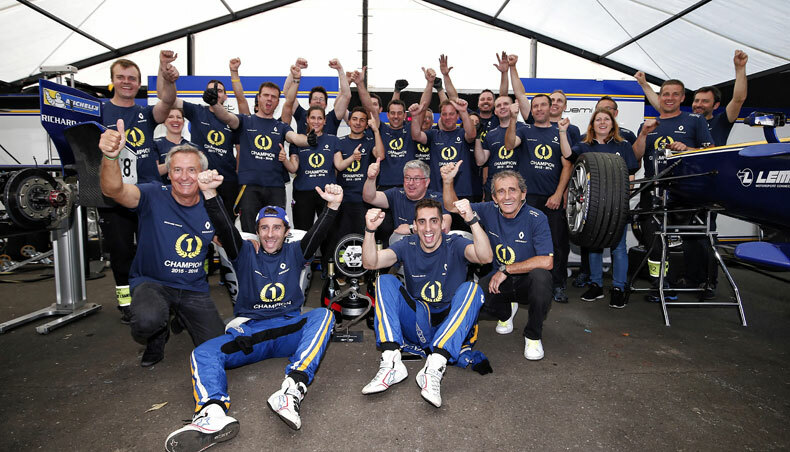 We are proud of the team and our partnership with Renault. We have not made things easy for ourselves, and today was particularly tough, but we came through in the end and can enjoy these times now! We are absolutely delighted with the titles today. 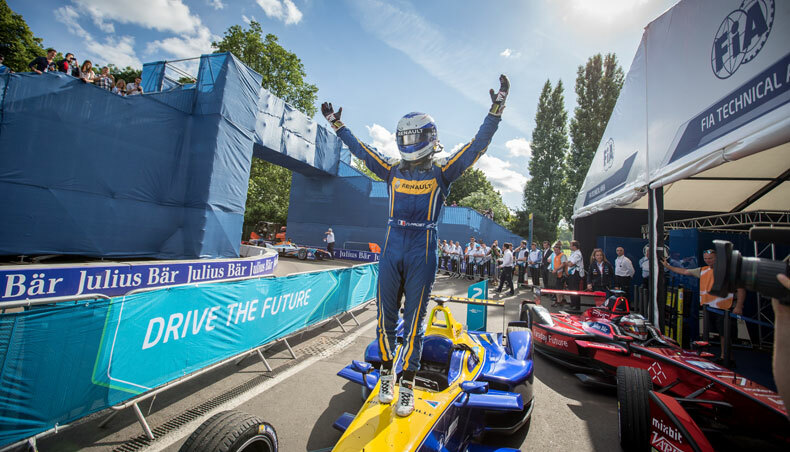 The Formula Electric championship is an ideal platform for Renault to demonstrate the innovation and quality of its electric vehicle technology. We look forward to the developments we have seen on track this year being put to good use by our road car users in the latest generation of ZE vehicles. Discover our electric vehicles range. We’ll be back next season: see you then!